Fall has made its arrival. There’s a crisp to the air. The leaves have begun to let go of the trees and fall around us. While I was standing in the classroom this week I looked outside to see beautifully coloured leaves falling and twirling in the wind. It’s amazing how quickly one season ends and another begins. We went downtown Sunday to the trade show and ended up walking around the city in the pouring rain. We ducked into the mall for a while and when we emerged it was sunny. This whole week has been a combination of sun, rain, wind, and storms. You can never be sure of what will come next which means leaving the house in boots and returning in flip flops/flats while peeling off the heavy sweater I thought I needed. Layering is best in Fall. Especially a Vancouver Fall. Layering is also good when it comes to granola. Layers of yogurt/almond milk/granola/fruit. I made this granola after seeing it on this site. 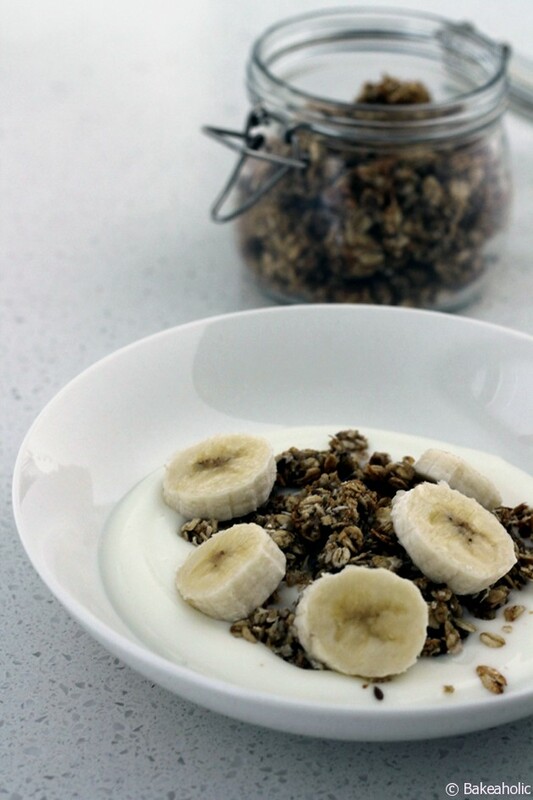 I thought it sounded perfect – since I have a love for bananas and crunchy granola. 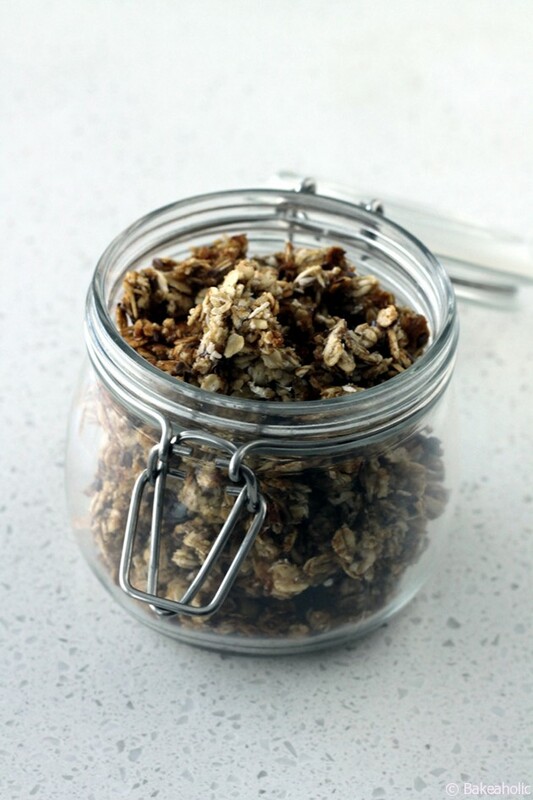 I changed it slightly and doubled the recipe, granola doesn’t last long between Adam and I.
It’s perfect to bring to school because it is nut free; I have to leave my beloved nut butters at home while I work because of students’ allergies. Though I did switch to Sunflower Seed Butter during my practicum earlier this year. I needed that recess apple + nut butter fix. Ps. Recess as an adult? Awesome. I like my cereal cold, really cold. You can definitely freeze this granola and eat it right out of the freezer with a splash of ice cold almond milk. Or, you can have it over yogurt like Adam does. 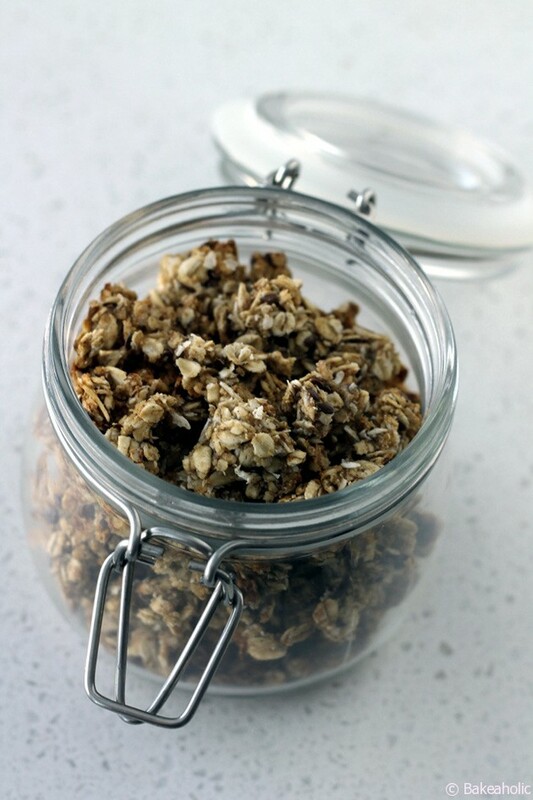 I read a tip that you should keep the granola in the oven after you have turned it off, so that it dries fully throughout and you have crunchy granola – unless you like chewy granola, then take it out after the timer goes off. Preheat oven to 325 degrees F and line a baking tray with baking paper or silicone. Combine oats, quinoa flakes, coconut, seeds, and cinnamon in a bowl. 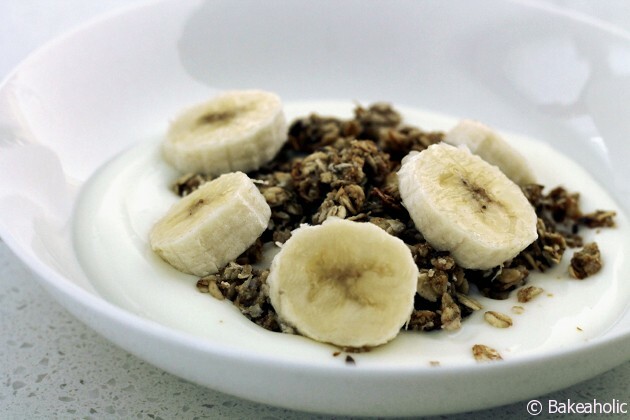 In a separate bowl, thoroughly mash the banana with a fork. Add the coconut oil and mix well. 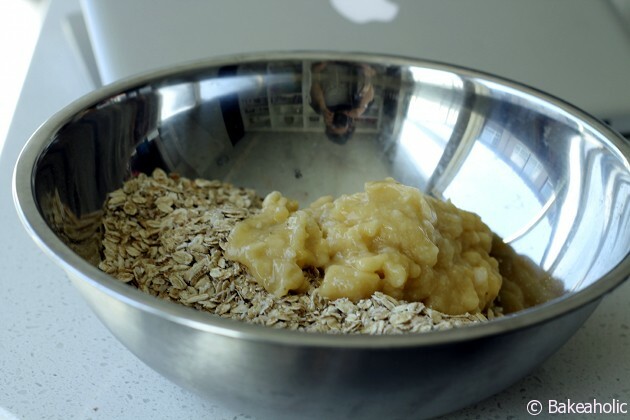 Add oats to the banana mixture and mix well. Make sure everything is coated and has a clumpy texture. Spread the granola on the baking tray. Bake for about 15-18 minutes. Turn the granola over halfway cooking time. The granola should be golden brown and crisp. Turn off the oven. 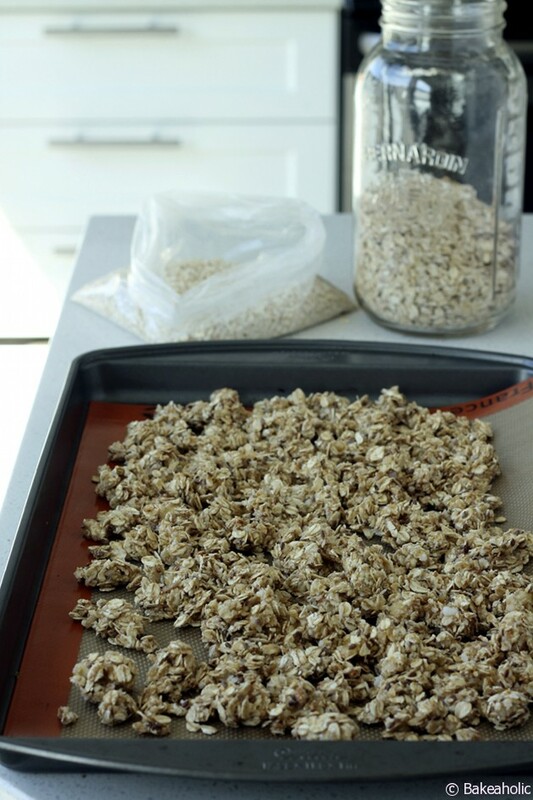 Let the granola cool in the oven until completely cold.